One of the greatest things a pro can do is 'pass it forward'. Pass on tips that put them at the top of the game, to those still working their way through the snakes and ladders it takes to get there. 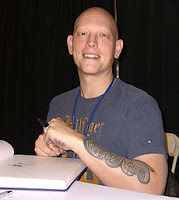 David Finch is one of those good folk, and while people passing his art off as their own saw him quit blogging earlier in the year, he is now back with a vengance at Dave Finch Artblog - literally. 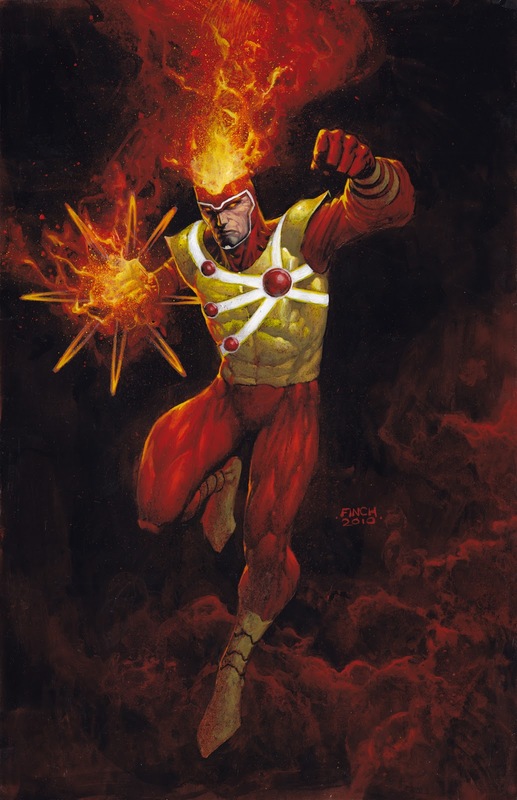 Thanks to Shag at Firestorm Fan for the heads up, David has posted a step-by-step process on how he painted his Firestorm centric cover to either Brightest Day #17 or #18, with more tips and insight then you can shake an atom at. As if you needed any incentive to make the jump, here is the unfinished cover. Come on folks, support creators passing it forward! saw this one on the Firestorm fan blog already. i had some good stuff to say there on this one. There's really not much to say, but "Ooooooooooh. Pretty fire." I think that about sums it up.